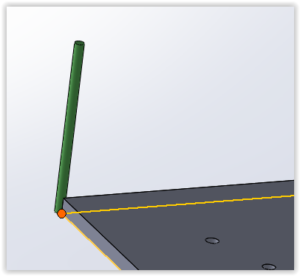 Making ‘spline’ contours is a time consuming process in WoodWOP but with ONGAA CAM, smooth contours are simple and fast. 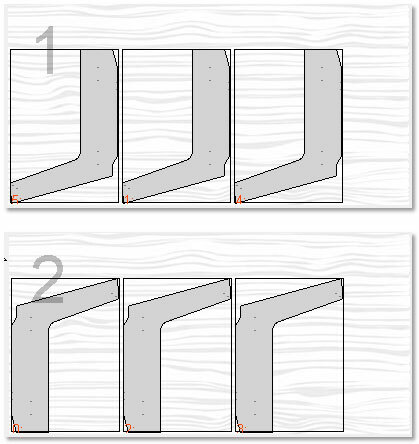 In WoodWOP the process usually starts with a list of points that came from a drawing or by manual calculations. These points are then entered, if done correctly, as ARC segments or LINE segments. The result should be a smooth approximation of the curve. Unfortunately many other programs that generate MPR contours only generate straight line segments. In this image we show the difference between a straight segment ellipse (lower half stating with the blue segment) and an arc segment ellipse (upper half). 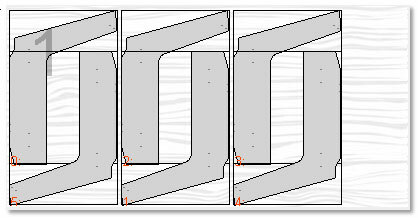 In each case, the segment lengths are the same. The segments are easy to see in the lower half but the upper half required a square mark to identify the end of segment #2. 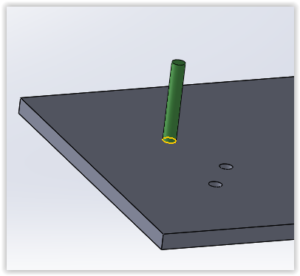 Several automatic nesting strategies are available in ONGAA CAM which provide a quick and easy way to nest rectangular parts across many sheets of material (directly from SOLIDWORKS). ONGAA CAM optimizes the nest to both maximize material usage as well as minimize tool changes. But not all part are created equally. 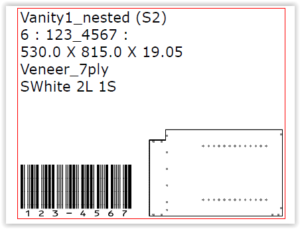 Automated nesting assumes the required material is as defined in the work piece definition of WoodWOP. Odd shapes would waste both material and time. With the latest version on ONGAA CAM, manual nesting or ‘Nudging’ is now available. Parts can now be selected, moved between sheets, moved on a sheet as well as rotated using intuitive button controls or keystrokes. 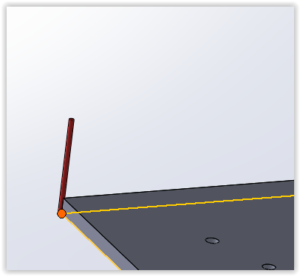 Unlike some other nesting solutions, ONGAA CAM goes not produce one continuous toolpath / process. Whether you routinely make ‘left hand’ and ‘right hand’ parts or you use all ‘origins’ to make the same part, programming for a mirrored position in WoodWOP requires extra time (and care). ONGAA CAM allows programming for any mirror position with only one selection. To achieve ‘handed’ manufacturing, the program, designed for the #1 position, will generate a ‘Normal program’ and a ‘Mirror in X program’. Although contour geometry is ‘mirrored’, routing strategies will be altered from climb routing to conventional. ONGAA CAM provides a special features to overcome to need to think is reverse. 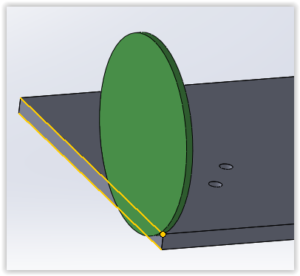 “Mirror Copy” will copy the process, with all the options and definitions, but reverse both the contour direction and the tool compensation. Combined with the mirroring WoodWOP variables, each routing process can be turned on of off, by WoodWOP, depending on the position it is NC-GEN’ed for. With ONGAA CAM you can create all the required processes for applying edge trim to the goods you manufacture with your Homag BAZ or other HOMAG/Weeke edge banding capable machine. Nesting – or combining multiple parts onto one sheet is a vital function for ‘Flat Table’ operators. Until now, ONGAA CAM‘s ability to nest ‘complete assemblies’ has been received with both enthusiasm and a little reservation. 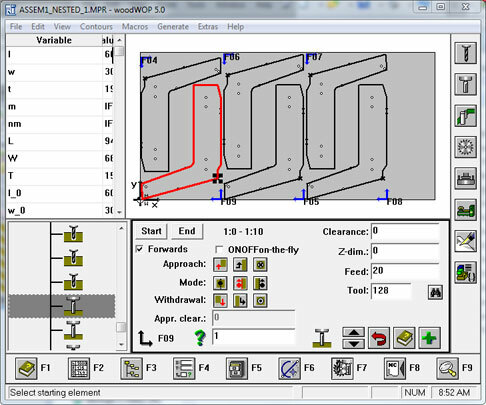 Users have ‘enthusiastically’ created all kinds of assemblies in SOLIDWORKS, combining nested assemblies, parts with multiple configurations and ONGAA CAM has created multiple sheet MPRs without a hitch. How do I optimize the the processes? — the generated nested MPR made one part at a time — I want the number of tool changes to be reduced. I have a big assembly, how do I do more than 4 sheets. How do I tell ‘what part is what’ when looking at the nesting preview.